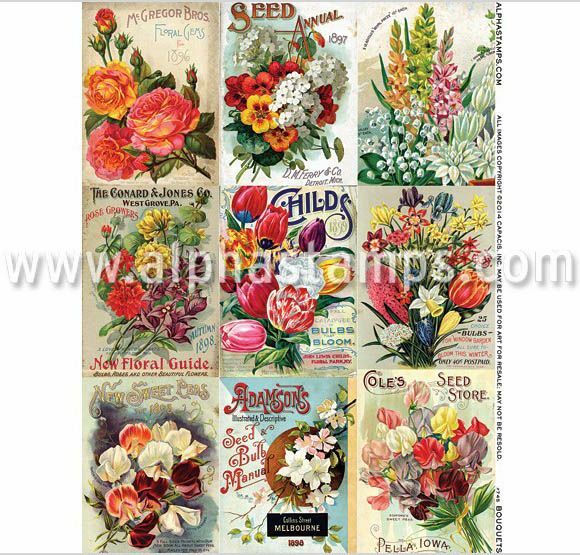 Spring has sprung at AlphaStamps with the April Spring themed kit. 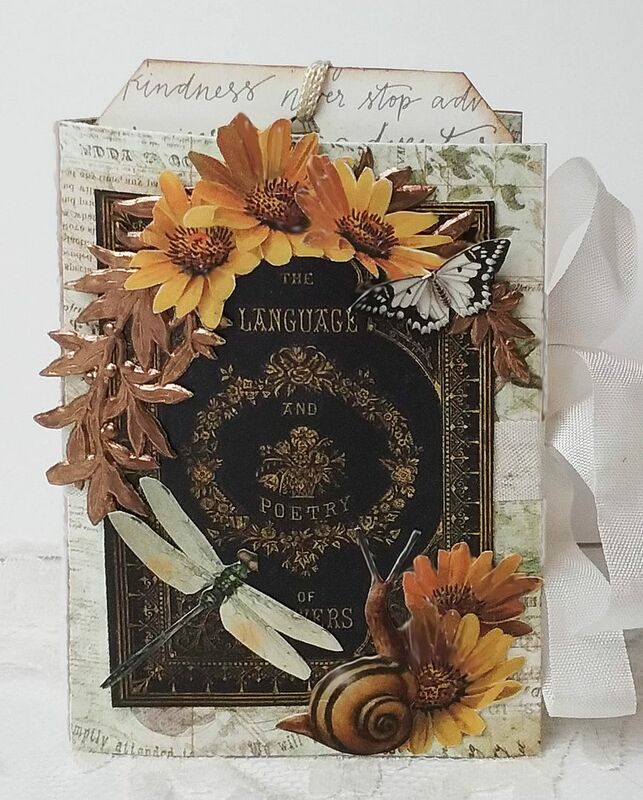 I’ve used some of the items from the kit plus other AlphaStamps products to create a Language of Flowers folder containing an ATC ticket journal and bookmark. 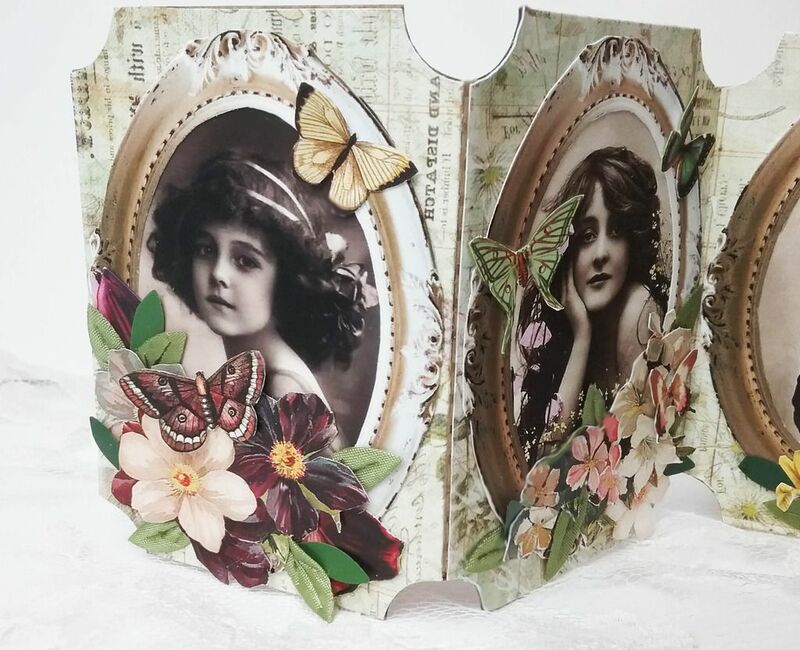 With a project like this, dimensional embellishments are not an option as the journal needs to fold up to fit inside the folder. 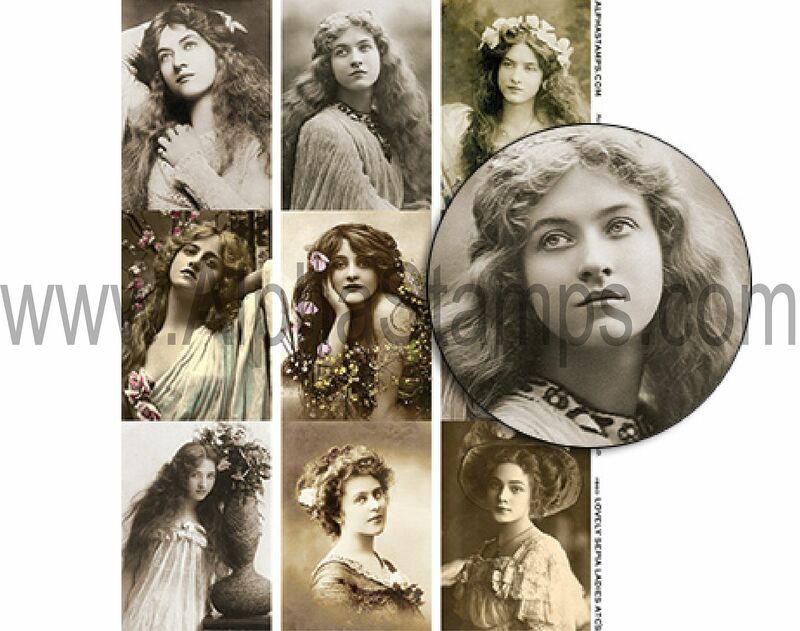 No worries though, instead I’ve used layers of images to add lots of detail. In addition to all of the lovely older and new AlphaStamps collage sheets, I used my new Nature’s Creatures collage sheet. 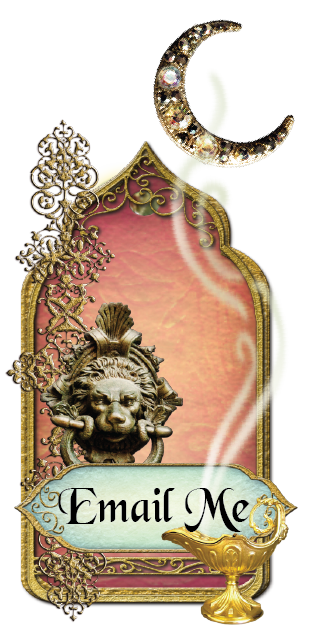 Further down in this post you’ll find all of the details on how I put this piece together and the lovely images I used. This sheet is packed with nature’s small creatures such as birds, butterflies, bees, dragonflies, and snails. 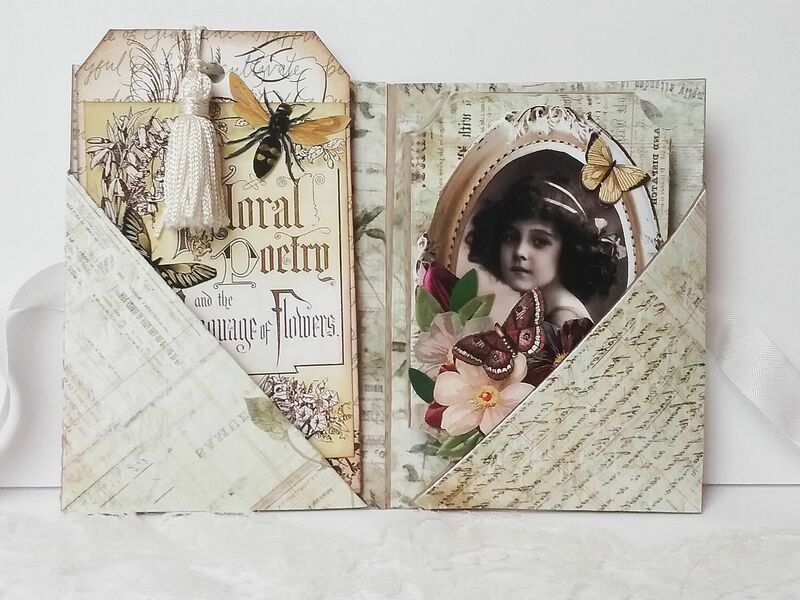 I started by covering the ticket journal with Nature Garden Meeting a Fairy Scrapbook Paper . I used this paper to cover the folder as well. 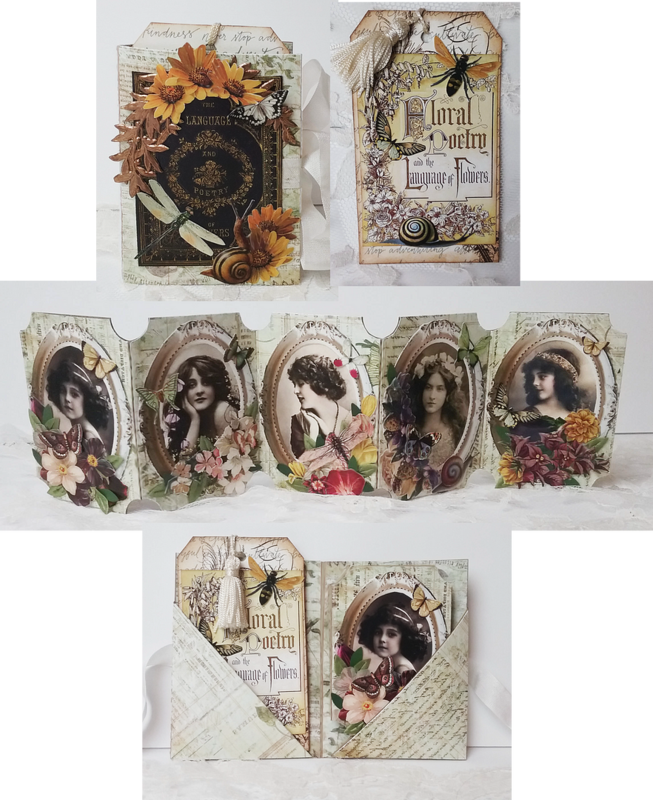 Next, I added images from the Mix of Spring Beauties, Vintage Sepia Children, and the Lovely Sepia Ladies ATCs collage sheets. 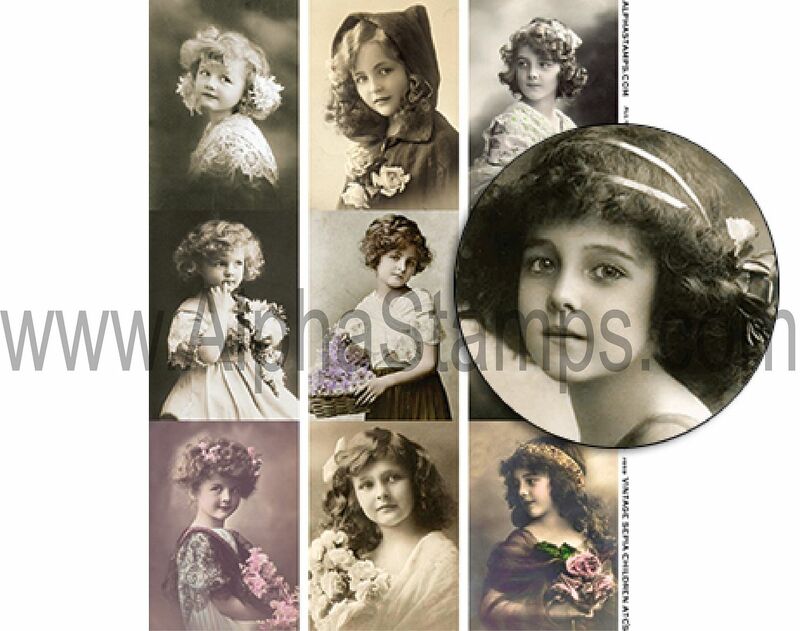 Each image is framed using an image from my Vintage Frames Set Download. 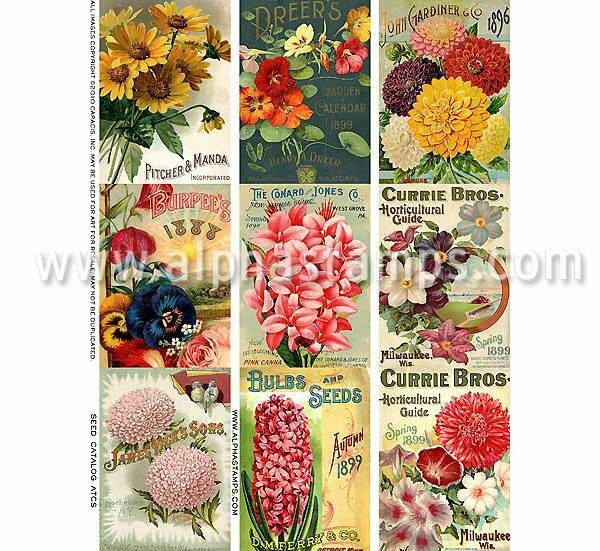 For embellishments, I used the Seed Catalog ATCs and Bouquet collage sheets. 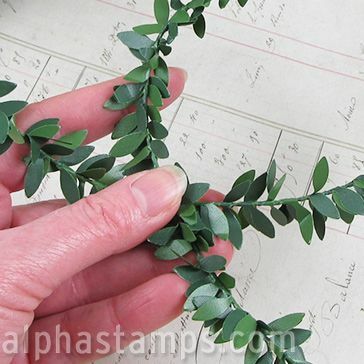 To accent the flowers I snipped off leaves from a green leaf garland and stitched leaf ribbon. 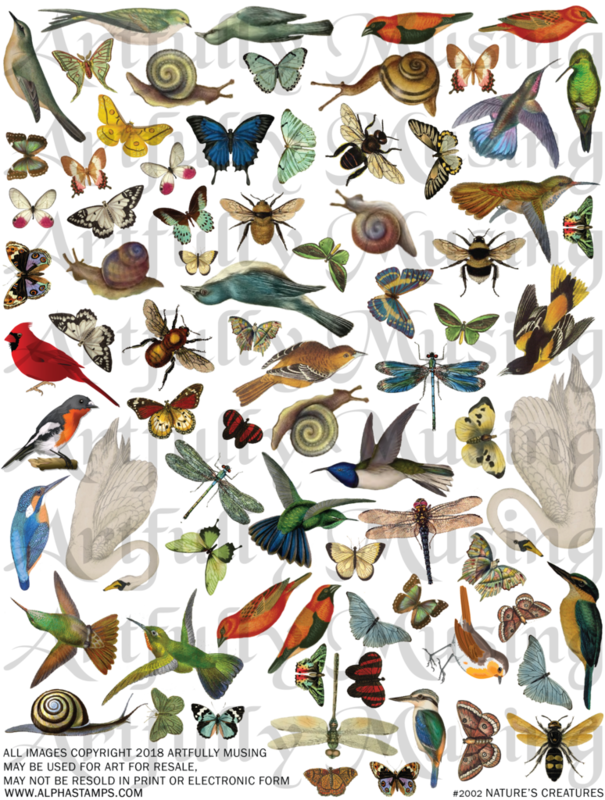 Lastly, I added birds, butterflies, dragonflies, and snails from the new Nature’s Creatures collage sheet. 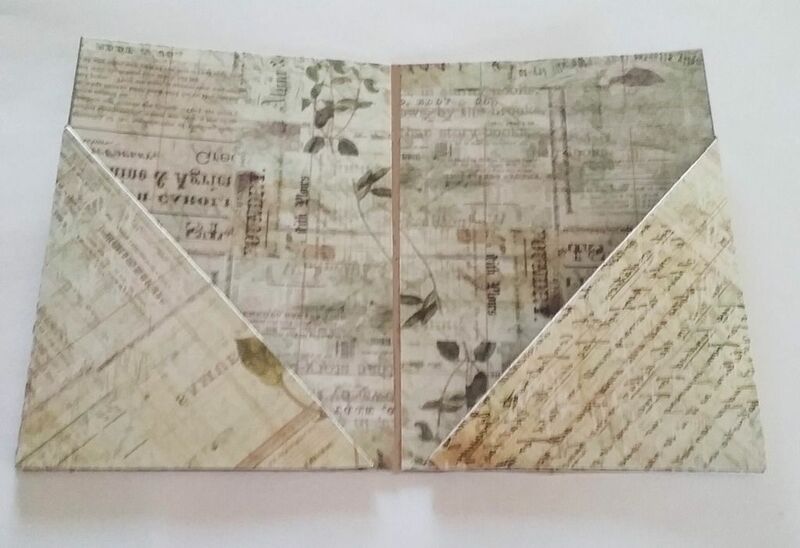 I used more of the decorative paper to cover the folder. 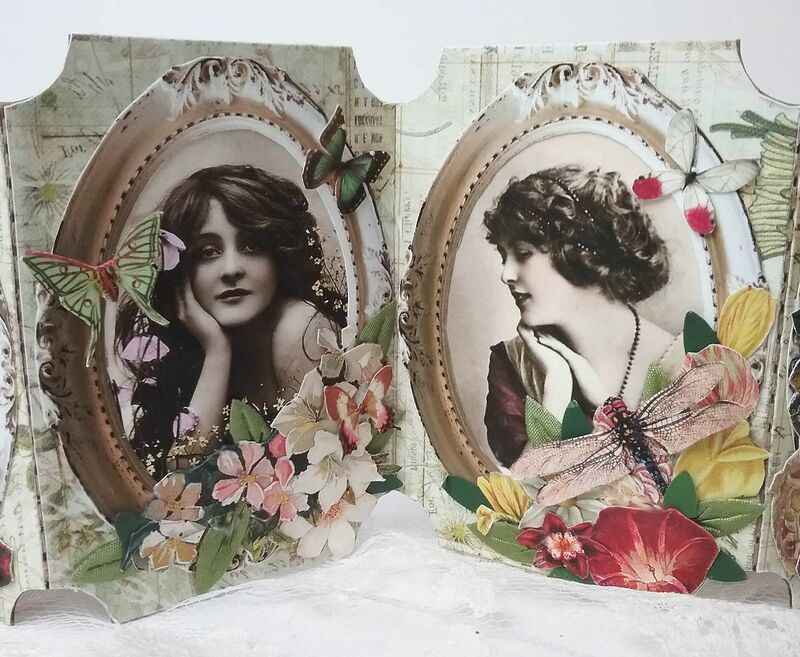 I cut away some of the bottom of a large tag, covered it with the Garden Tools scrapbook paper, added an image from The Language of Flowers collage sheet and the bee, butterfly, and snail from the Nature’s Creatures collage sheet. The tassel at the top is from my stash. Before adding the images on the front and back, I attached a ribbon to serve as a closure. 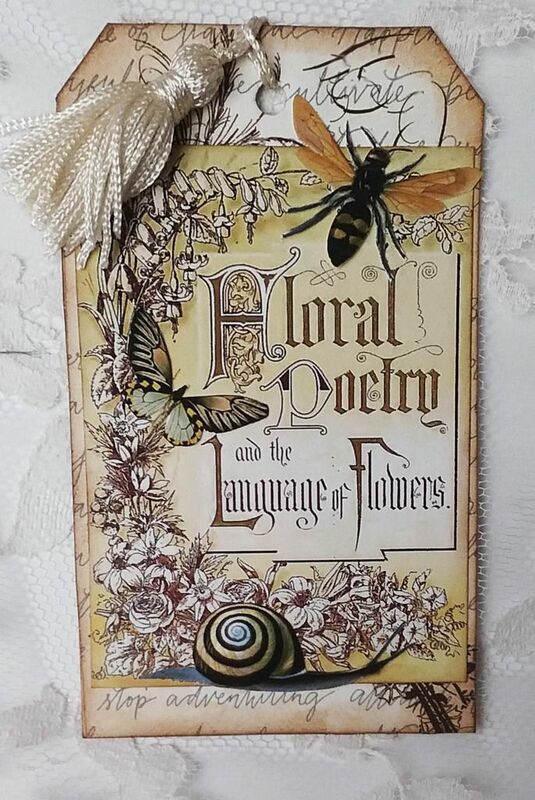 The front cover is decorated with another image from The Language of Flowers collage sheet along with more flowers (on the back as well) and nature’s creatures. The Streets of Paris project event continues with fashion accessories. 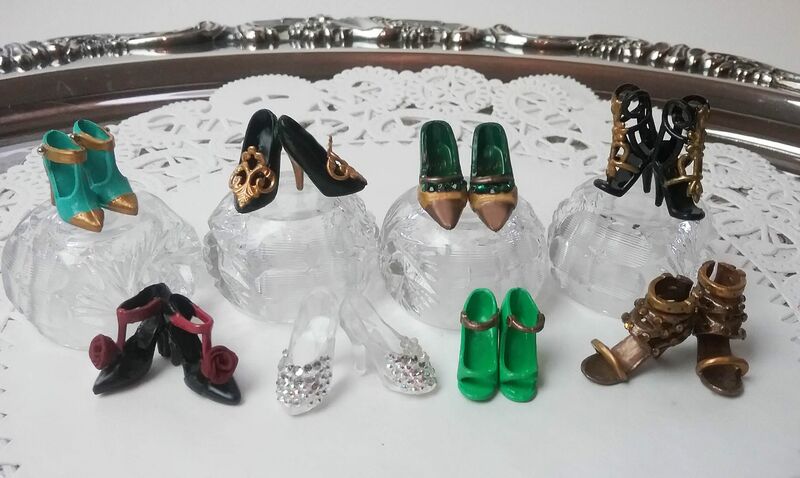 In this video tutorial, I’ll cover transforming cheesy miniature purses and shoes into something that looks elegant and expensive. 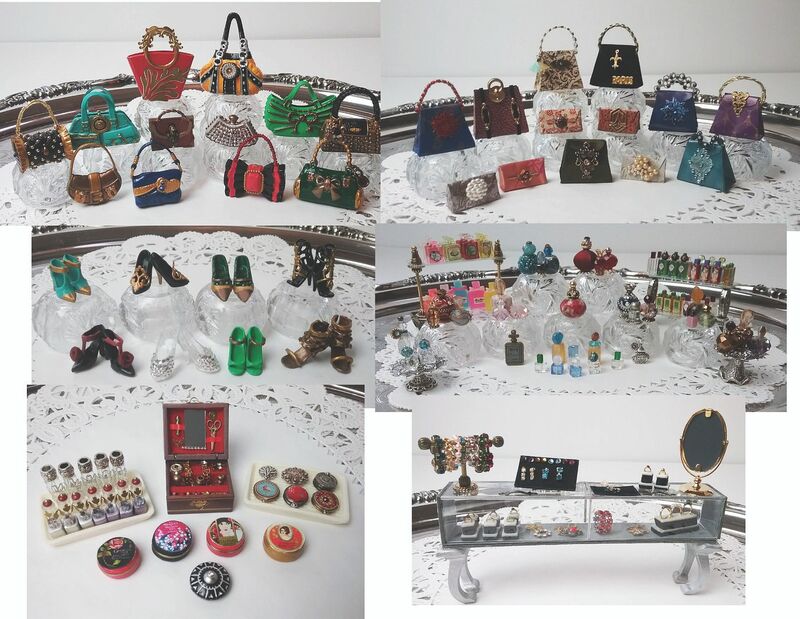 For even more purse options I've created a NEW Mini Purses collage sheet and digital image set of purses and complimentary embellishments. 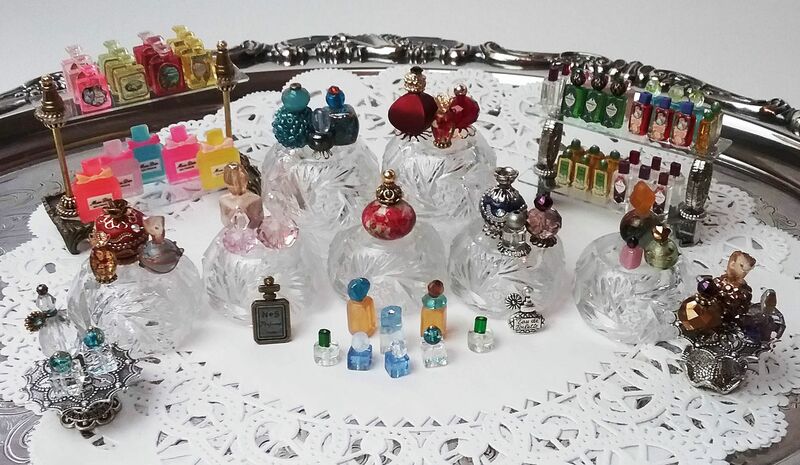 I’ll show you how I made perfume bottles from beads and I’ll also cover premade bottle options. 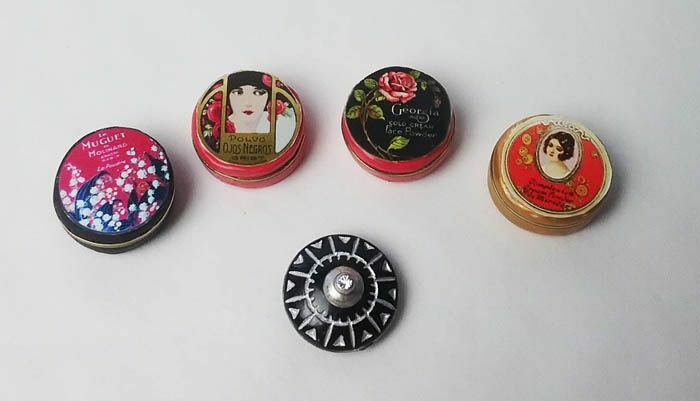 You won’t believe how easy it is to make powder boxes and compacts. 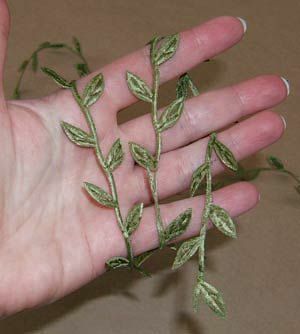 And lastly, I’ll cover making all kinds of jewelry and the methods I used to display them. You'll be seeing all of these accessories again (plus hats and dresses) when I cover constructing the Maison de la Mode (The House of Fashion). 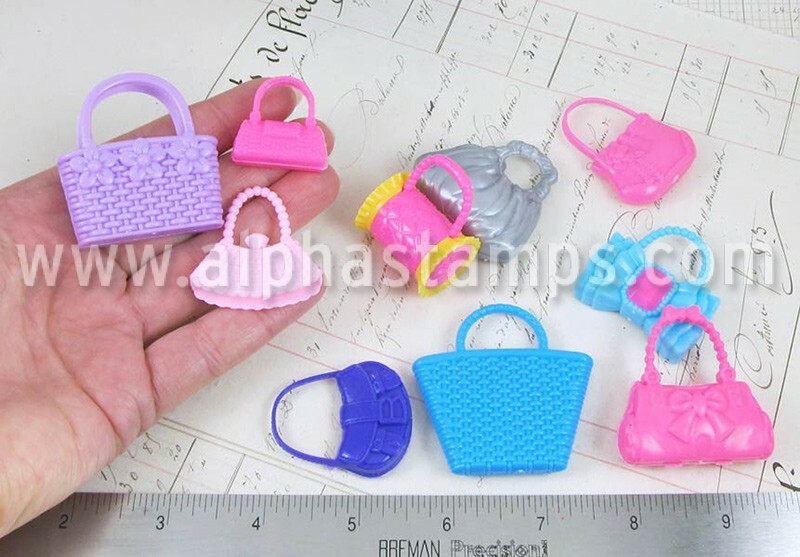 The hidden beauty of the plastic purses is the detail embossed on the plastic. 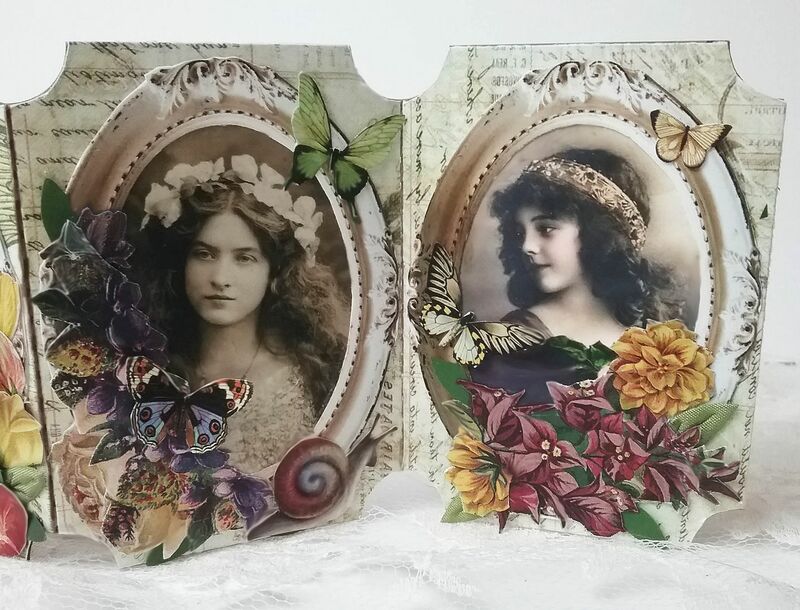 By using paint and dimensional embellishments to accents the details, it’s easy to transform the purses into something that looks elegant and expensive. 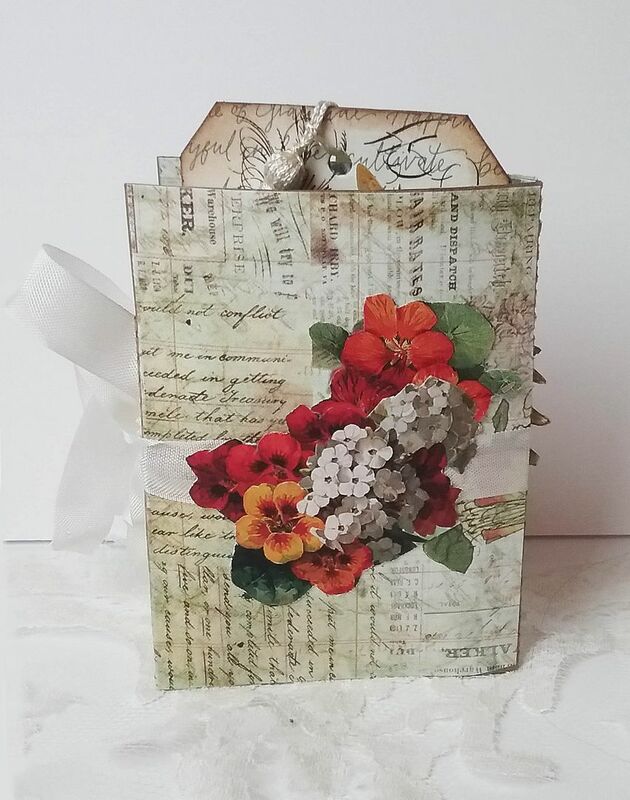 Using my new Mini Purse Collage Sheet or Corresponding Digital Image Set you can make 3D paper & fabric purses. 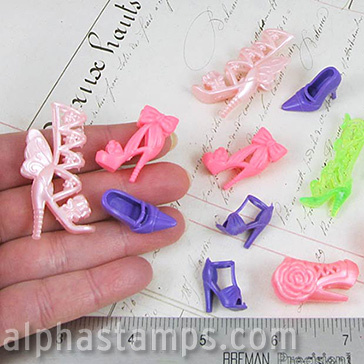 Using the same method I used for the purses, I transformed plastic shoes into fashionable footwear. 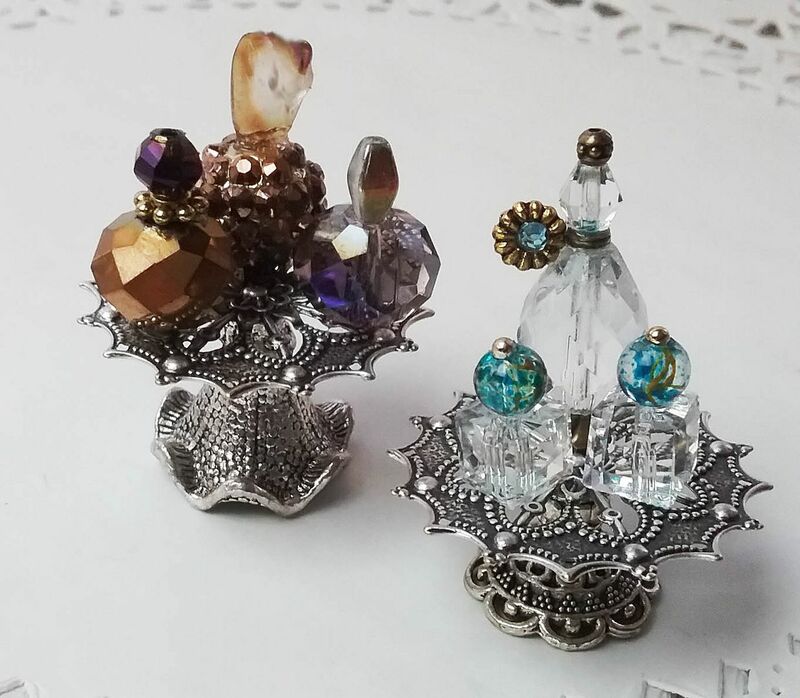 By combining beads and metal bits, it’s easy to make all kinds of lovely perfume bottles. 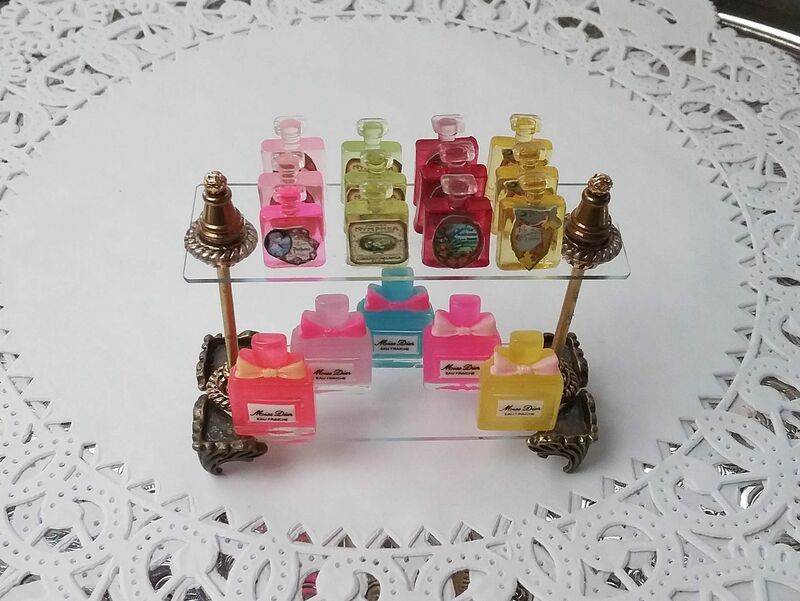 I've used my Mini Perfume Bottle Collage Sheet to add labels to many of the bottles. For those less adventurous, pre-made bottles are an option. 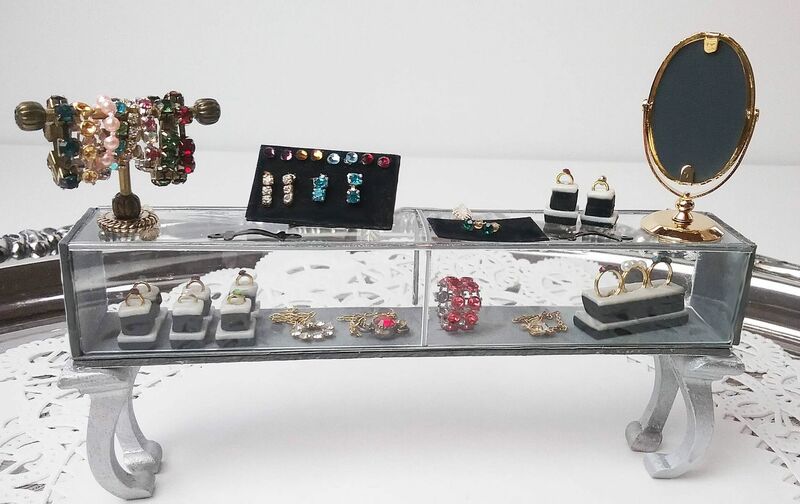 I’ve used rhinestones, various chains, jump rings and head pins to create rings, bracelets, and necklaces. 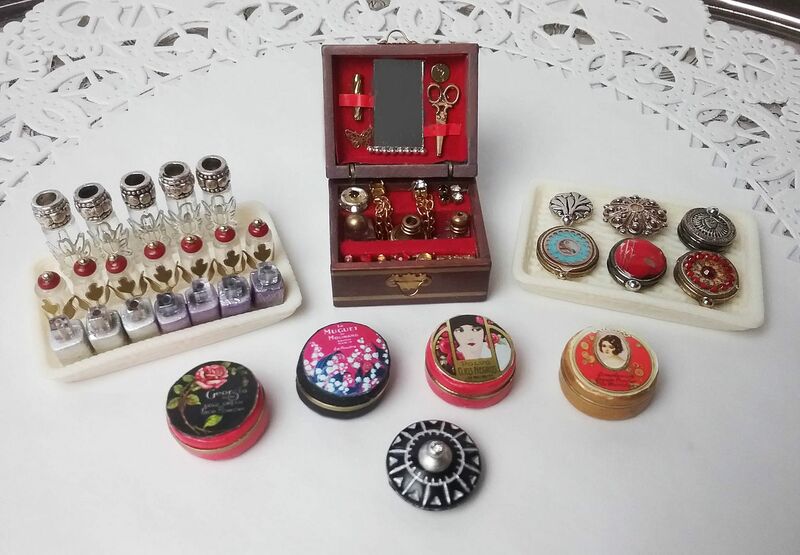 To display some of the jewelry, I've made display boxes out of polymer clay. 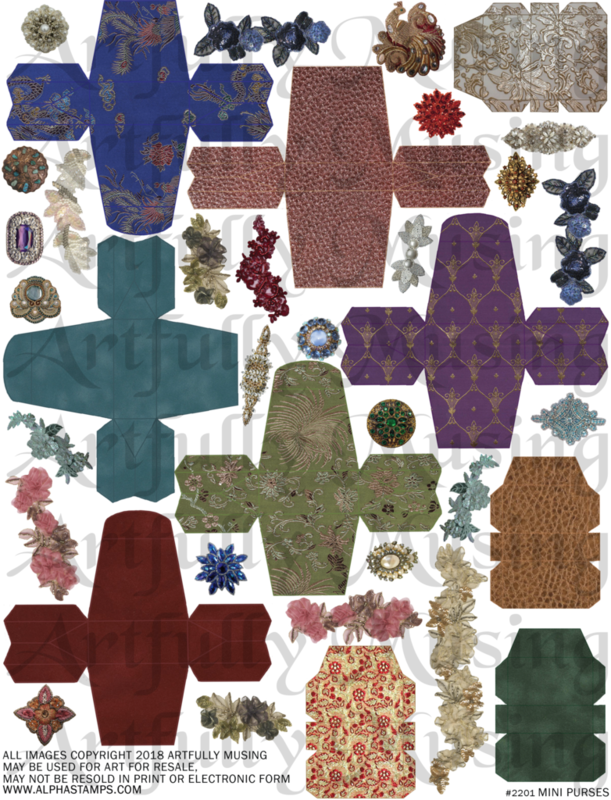 I thought a fun thing to add to the fashion shop would be some cosmetics and to that end, I’ve created a NEW Mini Cosmetic Labels collage sheet. I’ve used the sheet for the lids of the powder boxes and compacts. 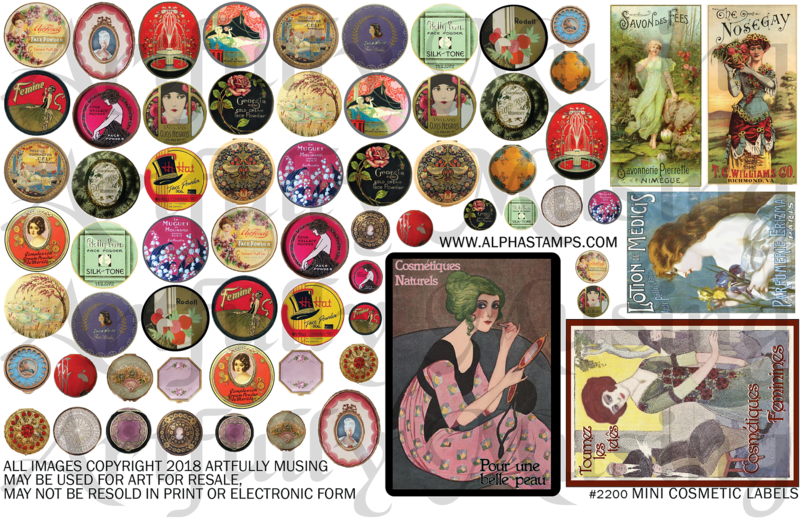 This sheet contains 21 unique vintage powder box labels and compacts with two or more different sized versions of each. 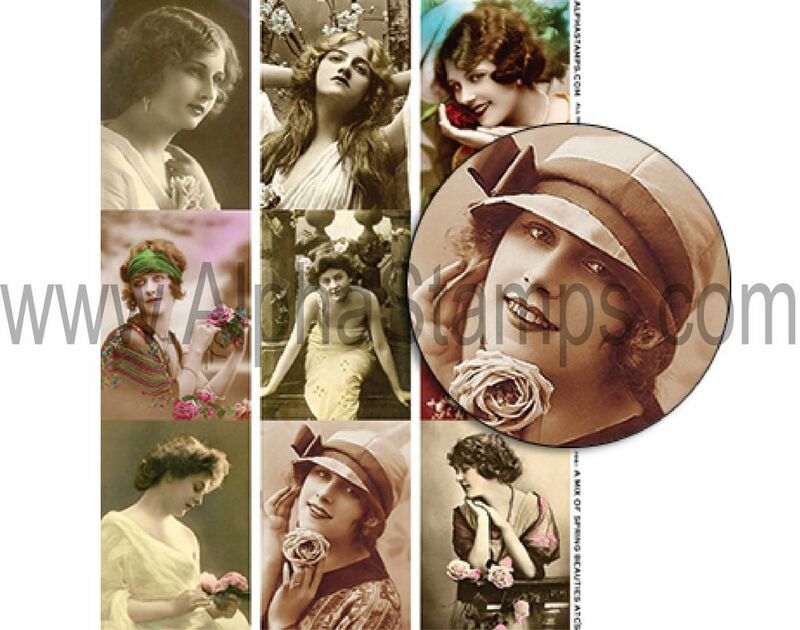 Also, there are four vintage cosmetic themed posters. 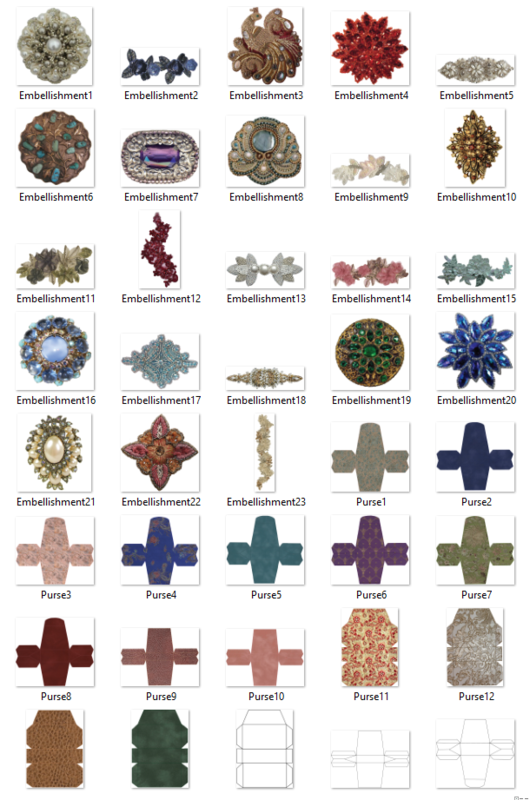 This sheet contains ten easy to fold and assemble purses along with images like beaded appliques and jeweled bits that can be used as accents. The purses come in three unique patterns. The pattern is printed lightly on the purse in a coordinating color to make it easy to score and fold. 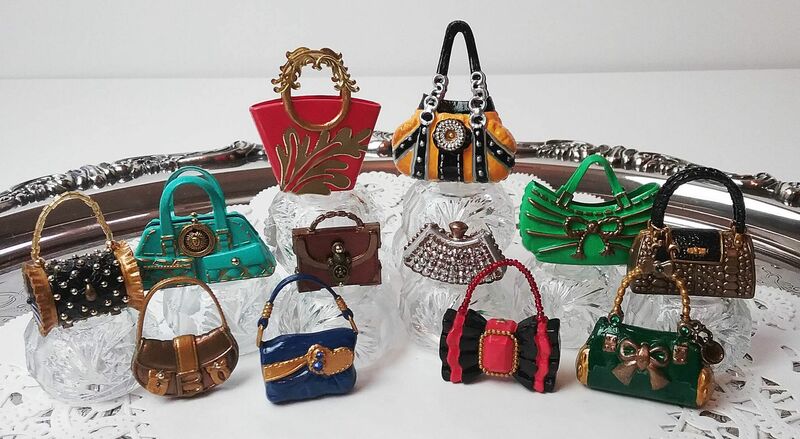 This image set contains all of the easy to fold and assemble purses, beaded appliques and jeweled bits found on the Mini Purses collage sheet plus four additional purses. The purses come in three unique patterns. 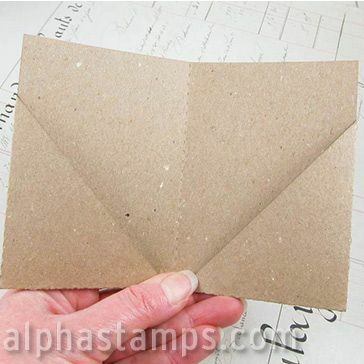 Use dimensional or the included paper embellishments as accents. The pattern is printed lightly on the purse in a coordinating color to make it easy to score and fold. 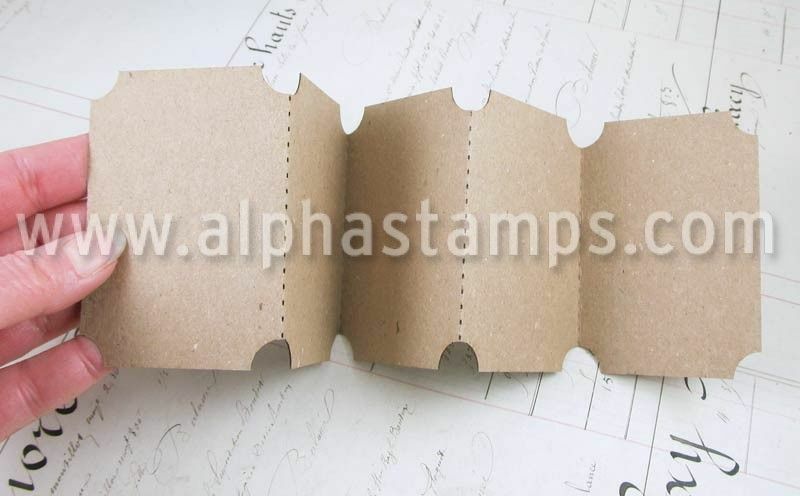 Also included are three unique patterns that can be printed and glued onto decorative paper or thin fabric to make even more purses. 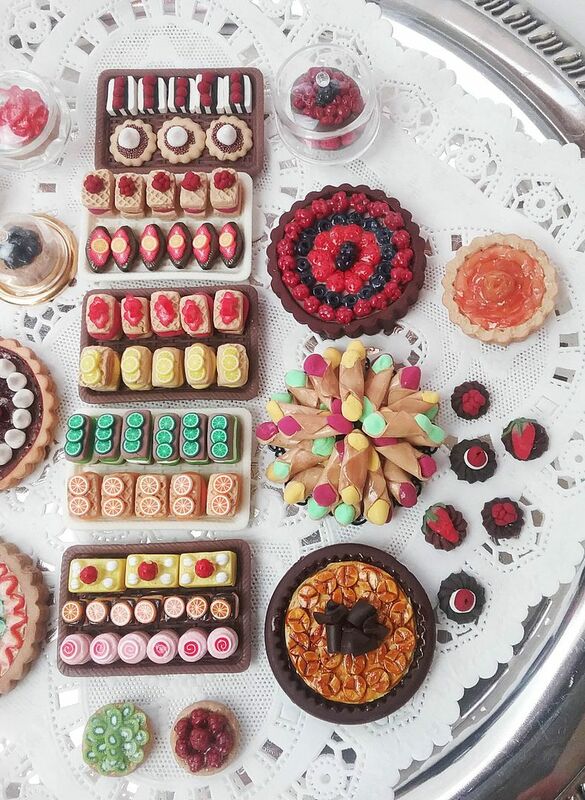 The Streets of Paris project event continues with miniature sweets. 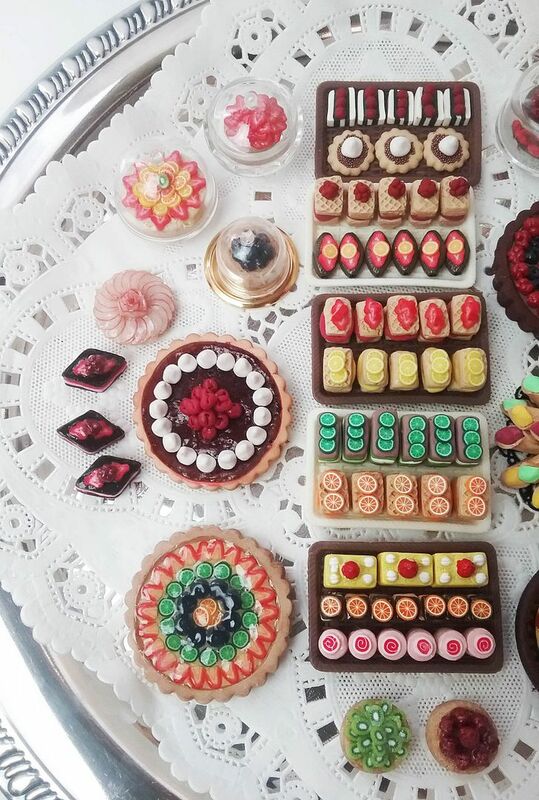 I've spent a good deal of time looking at pictures of Paris chocolate and pastry shops to inspire the sweets I've created. I have for you not one, not two, but three video tutorials covering chocolates, pastry, tarts, cakes and more. Each video is jam-packed with examples, demonstrations, tools, tips & tricks. 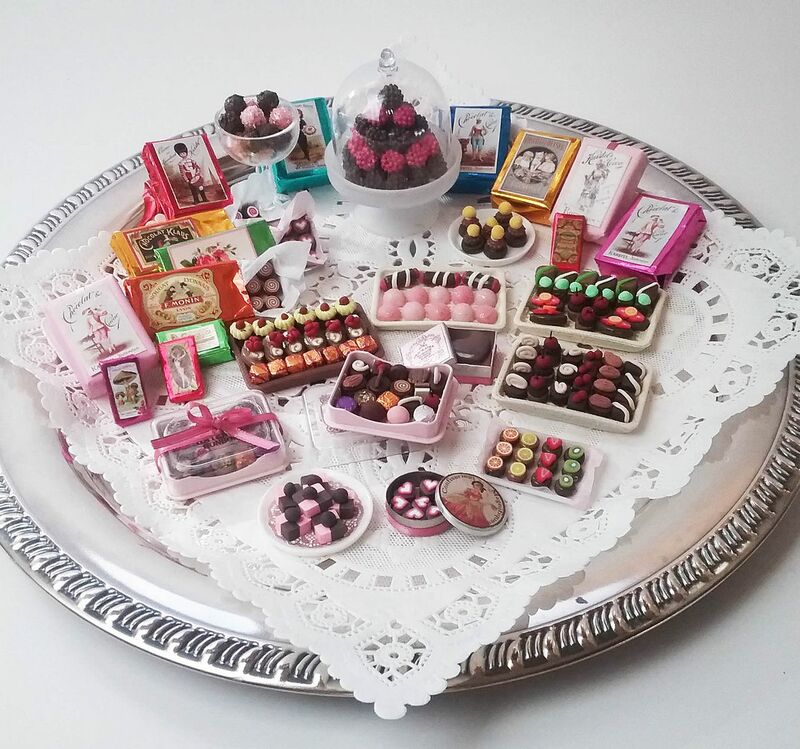 In the Chocolates tutorial, I’ll demonstrate how to make chocolates from beads and polymer clay plus cover lovely ways to display the chocolates. 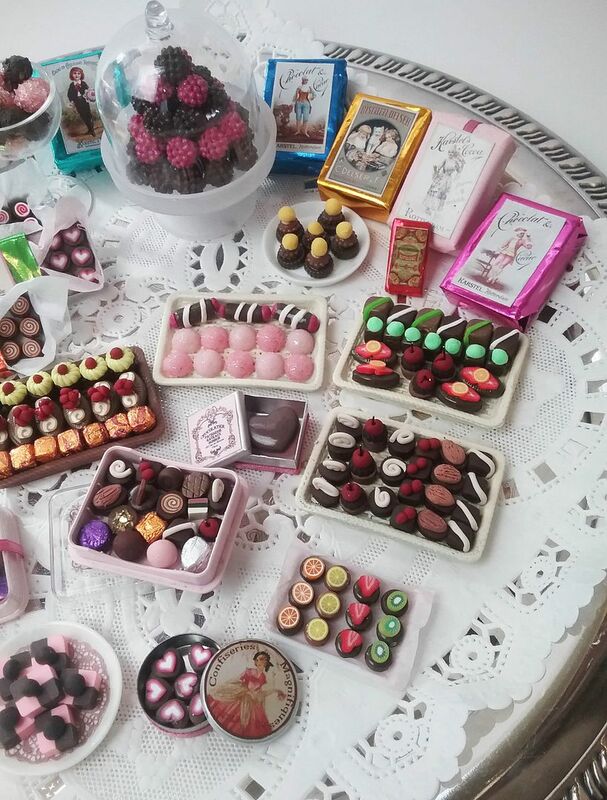 What's more, I'll use easy to cut clay canes to jazz up the chocolates. I’ll introduce you to helpful tools such as an extruder and pushrod clay cutters. I’ll even show you to make a pushrod cutter out of a straw and a wooden dowel. 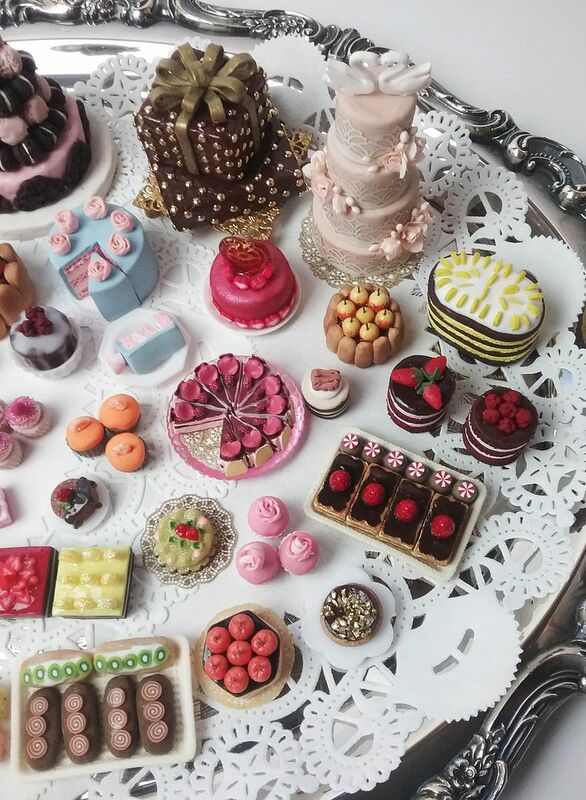 In the Pastry & Tarts video, I’ll show you how to make all kinds of sweet treats out of polymer clay. 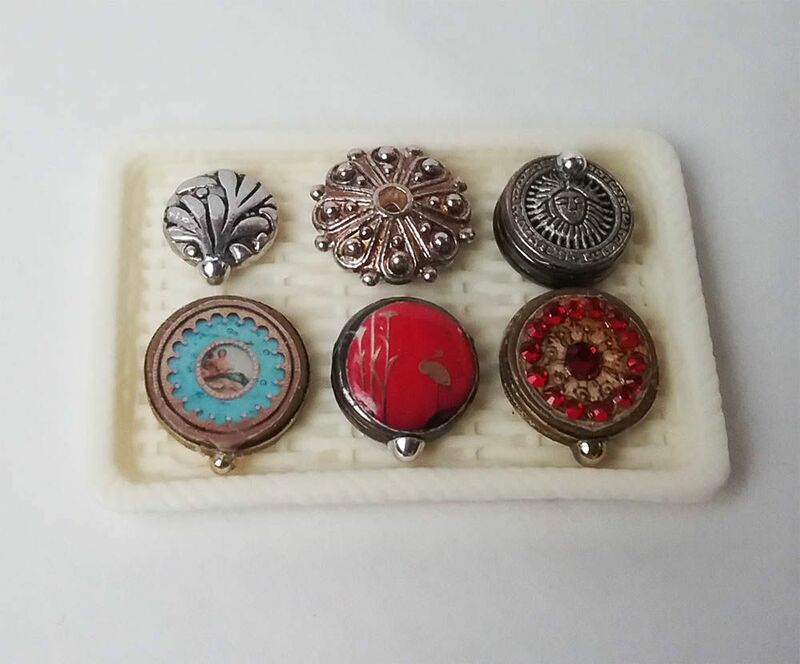 To make the process easier, I’ll use silicone molds and metal clay cutters. I'll show you an easy way to add glaze to your creations. I’ll demonstrate an easy way to make clay roses & fruit plus techniques for making clay look like baked dough. 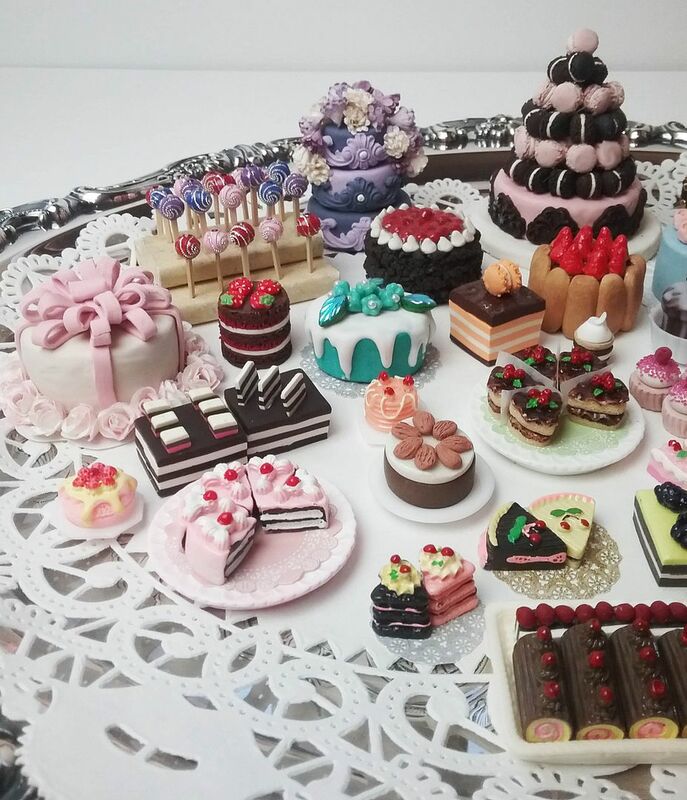 In the Cake video, I’ll cover all kinds of cakes, from simple to elegant. I’ll show you how to make molds of frequently used components which is such a time saver. 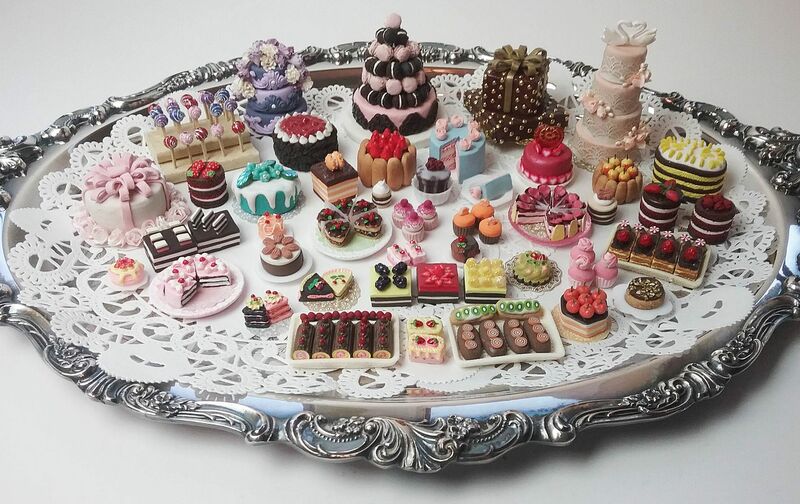 I’ll showcase pre-made resin treats that you can intermix with polymer clay treats. 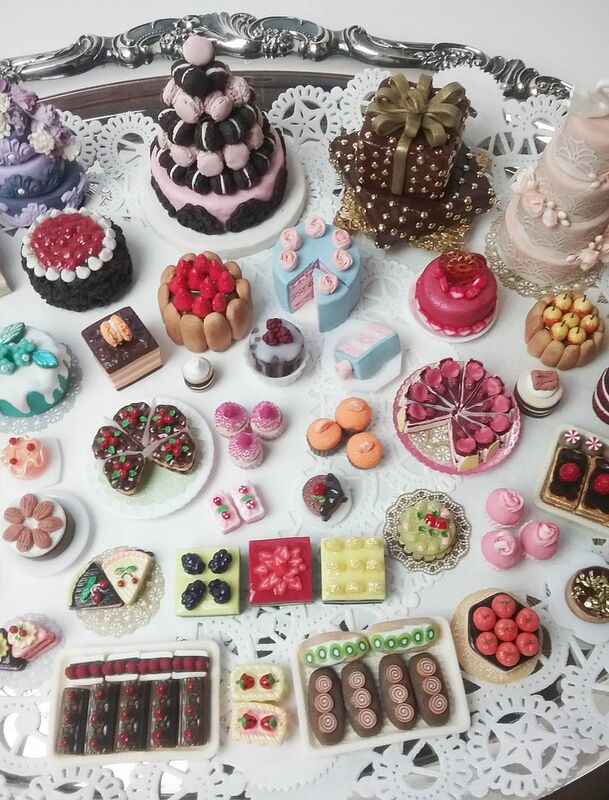 I’ll cover techniques such as making bows, cross-cutting cake designs, creating the texture of a realistic cake, and making nuts. In short, there are almost 2 hours of video cram packed with all kinds of demonstrations and idea. 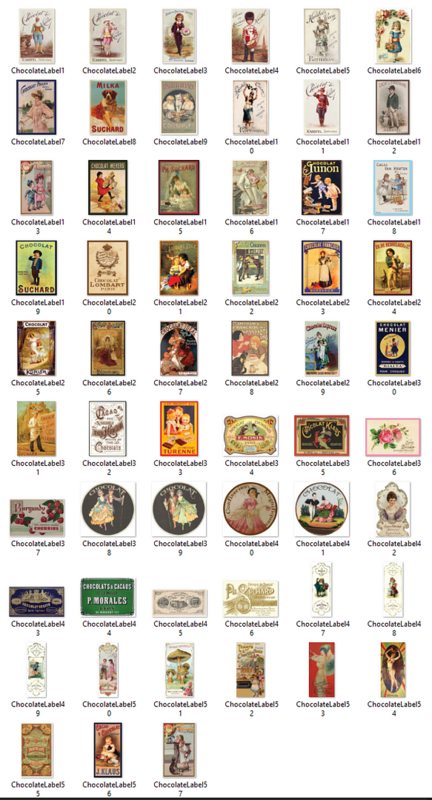 Along with this event segment I’ve designed a NEW Miniature Chocolates collage sheet and corresponding digital image set. 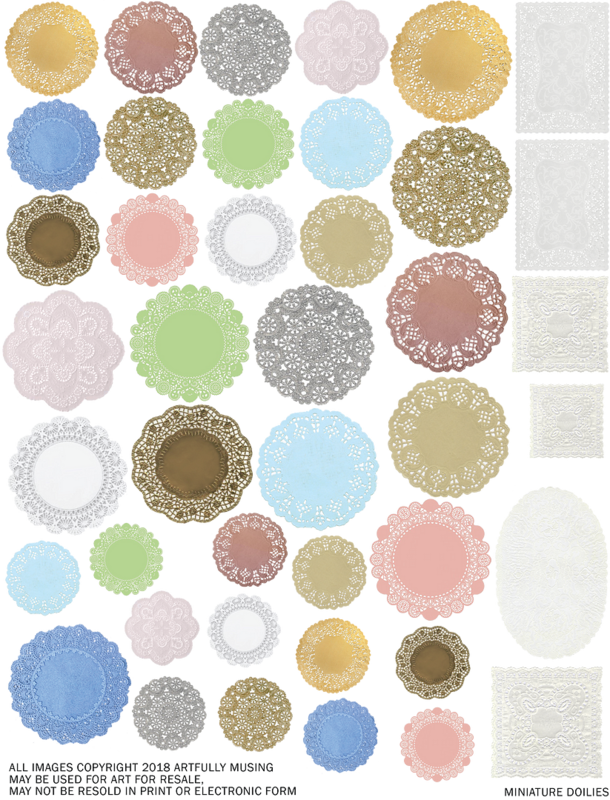 I also have a FREE Miniature Doilies collage sheet that you can use for your projects. 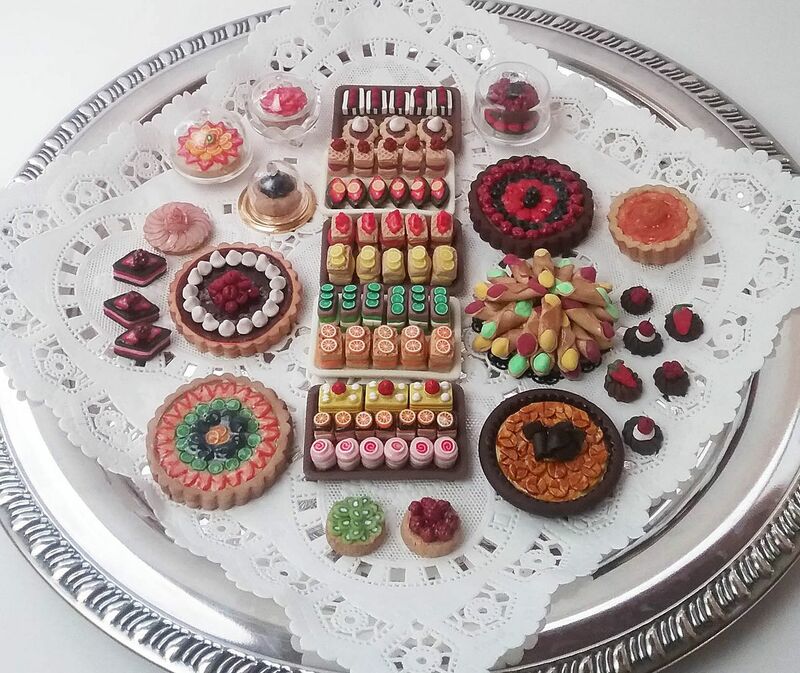 And the giveaways continue with a set of my handmade miniature polymer clay sweets (details below). In a couple of weeks, I’ll be posting the next series of videos which will cover perfume, cosmetics, purses, and shoes. 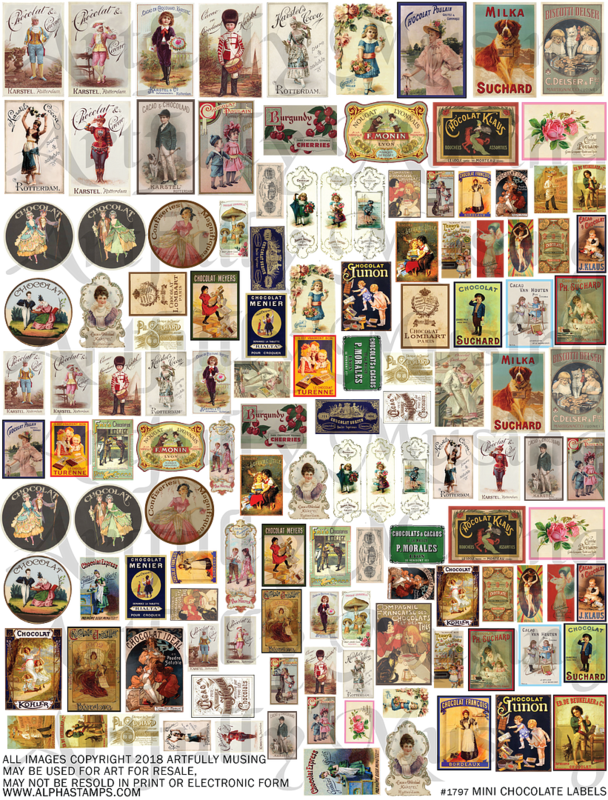 This collage sheet contains 57 unique vintage chocolate related labels of various sizes. 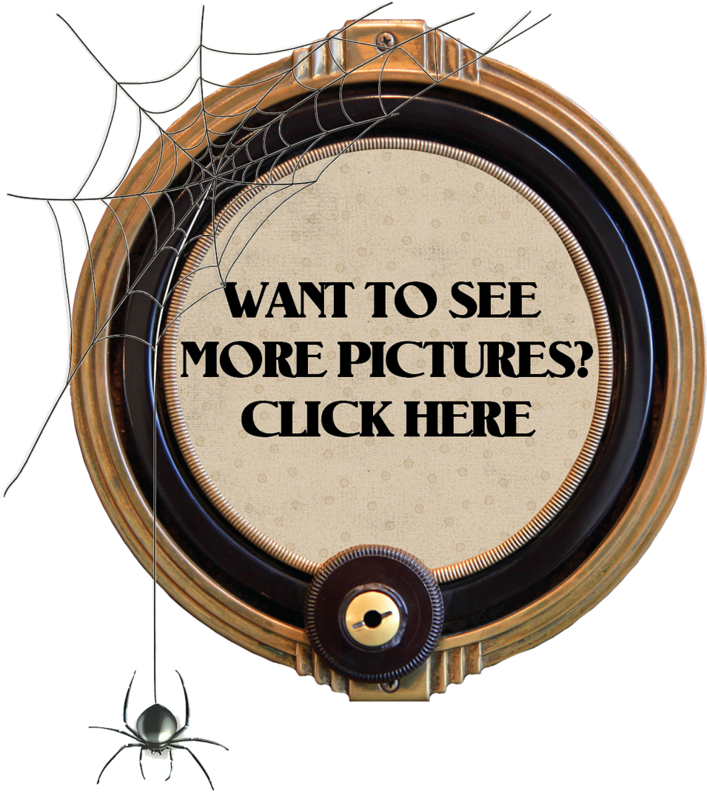 There are at least two of each image and some with three. 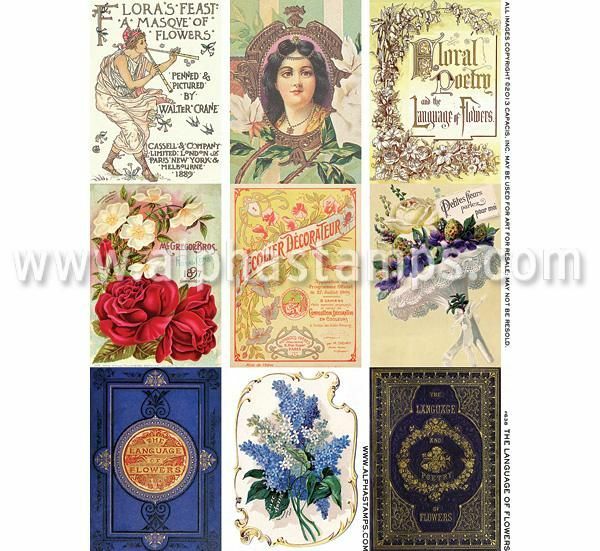 This image set contains a file of 57 unique vintage chocolate related labels. 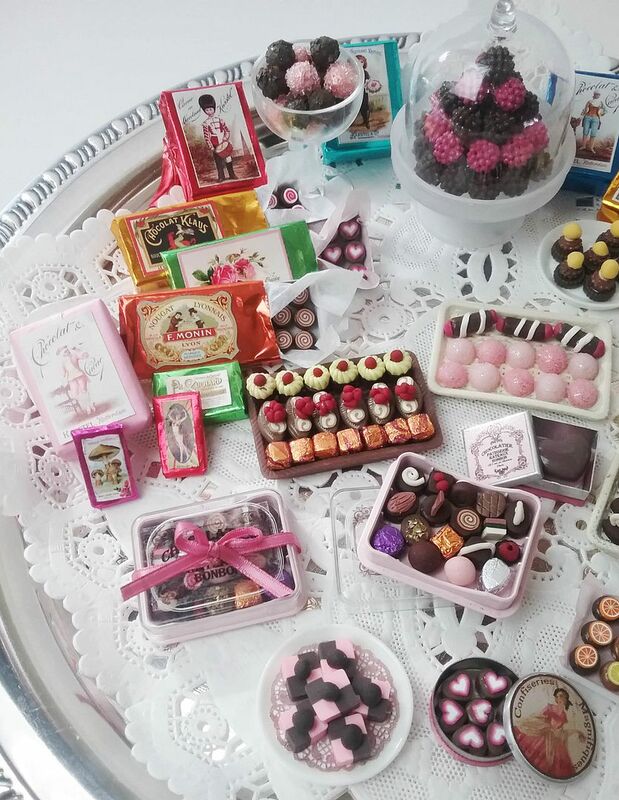 Included are all of the labels found on the Mini Chocolates Labels Collage Sheet. Be sure to watch the video’s in order as once I cover a technique, if I use it again it will not be demonstrated in detail.